CONTE: "He will not stand for players who think they are bigger than him"
Antonio Conte takes his first training session at Cobham today just 33 days before the start of the Premier League season. According to Leonardo Bonucci, a Chelsea target this summer, his impact will be immediate. 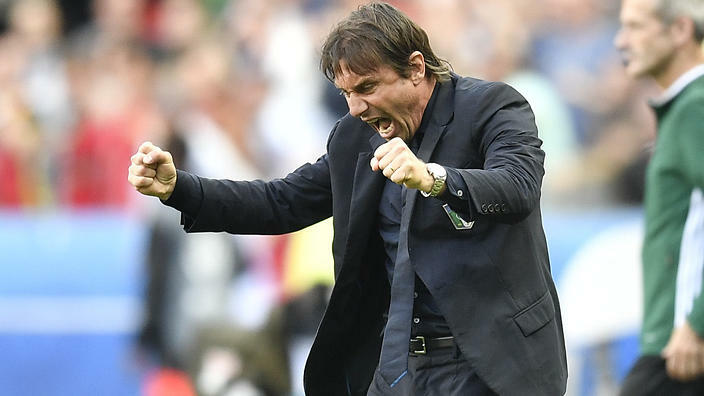 The more I look at Conte, the way he approaches his job, his Managerial style and his complete passion for the game with his antics on the sideline at Euro 2016, I see him as the perfect man to come in at the perfect time. Chelsea lost direction, became a total mess last year and without a core or natural leaders throughout and at least one person to look to for inspiration and guidance, Conte is the perfect fit. Chelsea need discipline, they need someone who won't take any crap and someone who is to steer our team back into the right direction. Don't get me wrong here, we ARE still a good team and have a good squad with a couple of adjustments, but we need a focal point and Antonio Conte is that. Leonardo Bonnuci has spoken of Conte recently and believes that despite his late arrival at Chelsea with such a short period of time to get his message across and his tactics, he will do exactly that and make an immediate impact. “The players in the Italy team nicknamed him The Godfather. That means when he talks, you listen. You do what he says and you don’t argue. Players want to listen though. Nobody gave Italy much of a chance in France, and in the end we only got beaten on penalties by the world champions. Conte will be a big success in England, Chelsea are already a very good team, and he will have them challenging both in England and in Europe. He likes leaders, he likes big personalities, but he will not stand for players who think they are bigger than him. I love that Interview as he has basically stated exactly what we need right now to get us back on track and back into Europe. I also admire the fact that he is not afraid to say " You do it my way or you can leave!" What do you think of what has been said of Conte and do you agree that he is exactly what we need at the right time? I cannot wait to see him in action this season!